PORTLAND, OREGON, March 2019 — The LifeBalance Program and Cascade Centers have partnered up to provide health, happiness, and savings to Cascade clients and their employees. Beginning March 1, 2019, the approximate 90,000 employees serviced by Cascade will have access to the LifeBalance Program’s exclusive network of recreational, cultural, well-being, and travel savings. The partnership, finalized in late December 2018, capped off a year of unprecedented growth for the LifeBalance Program. Over the last 12 months, LifeBalance has expanded to provide its services to Health Alliance Medical Plans in Illinois, FirstCare Health Plans in Texas, and Community Health Options in Maine. “We feel so fortunate to have had an amazing year of partnering with organizations that share our vision and values,” said Miller. The LifeBalance platform includes thousands of savings options at local, regional, and nationally-recognizable businesses, all of which will be available to Cascade’s clients and employees come March. Miller believes the comprehensive nature of the LifeBalance discount network, along with its local focus, has fueled the company’s growth and will provide outstanding value to Cascade and its clients. Cascade Centers, Inc. is a private firm headquartered in Portland, Oregon. Since 1975, Cascade has set out to decrease employee related expenses and improve quality of life. They provide comprehensive and leading edge services to organizations and individuals nationwide, such as Employee Assistance Programs (EAP), Work/Life Balance Services, Wellness Programs, Onsite Health Screenings, Organizational Development, Student Assistance Programs, and Executive Coaching. Founded in 1996 in Portland, Oregon, The LifeBalance Program’s vision is to inspire everyone to lead a balanced life. The company has dedicated itself to connecting its members to the things we all love most — fun family time, the great outdoors, health, fitness, travel, sports, the arts, and above all, a good deal. Because LifeBalance believes that happiness and fulfillment are found when we stick to one guiding principle: Never get so busy making a living that you never make a life. Cascade Centers’ wellness program encourages healthy behaviors, promotes social engagement, and inspires employees to give back to the local community. The wellness program targets four main components of health, which include mental health (stress management, assessments with customized recommendations, massages), physical health (biometric screenings, standing desks), social health (staff night out, e.g. Paint Nite, nature hikes), and community health (clothing drives, volunteer events). Employees are encouraged to participate in all activities and are provided paid work hours to engage in wellness program events. Cascade’s wellness committee polls staff annually, and chooses activities for all skill and ability levels to eliminate any additional barriers of access. The Wellness Committee is comprised of members who are experts in their field, knowledgeable of employer and employee needs, and have educational backgrounds and certifications in mental health and health coaching. They meet on a bi-monthly basis to evaluate participation, including what has gone well and to recognize where future improvements can be made. Cascade Centers’ robust employee wellness offering reflects their dedication to improve health, reduce stigma related to mental health, and promote holistic approaches to wellness. One unique component of Cascade Centers’ wellness program is that we use the wellness services we provide for our industry clients. We want to understand the ins and outs of our wellness platform and services, along with knowing how to motivate and encourage others to use them and do so as well. Our goal is to “practice what we preach” – to get and be well together! PsyInnovations, the developer of the mental and behavioral health platform, wayForward, has announced a multi-year partnership with Cascade Centers, Inc., a Portland, Oregon based EAP that aims to improve employee wellbeing and health. Cascade Centers will use PsyInnovations’ wayForward platform as a core part of their Employee Assistance Program’s (EAP) offering to employers. This partnership will allow Cascade Centers to be a “Digital EAP”, supporting employee wellness with digital assessments, evidence-based therapeutic tools, and a coaching platform that are made available instantly via apps and web. “At PsyInnovations, our mission is to make behavioral healthcare accessible to everyone, globally. We believe in working in partnership with behavioral health and emotional wellness organizations such as EAPs, to provide proven, scalable, cost-effective digital solutions for reducing the incidence and severity emotional problems such as stress, anxiety and depression,” said PsyInnovations CEO, Ritvik Singh. The platform will cover all aspects of mental health and wellness from assessment to self-use programs based on CBT and mindfulness to coaches and experts. PsyInnovations will incorporate the WholeLife Scale, Cascade Center’s proprietary assessment that screens individuals for 9 domains such as stress, anxiety, anger, sleep and more. Data analytics are also included to help optimize the program’s effectiveness and provide customized offerings. PsyInnovations, based in New York, is comprised of a team of leading researchers, clinicians and behavioral health experts associated with Columbia University, University of Michigan, Yeshiva University, UC San Diego, and a nationwide team of licensed behavioral health providers who also serve as health coaches. It comprises of a global setup, serving more than half a million individuals in over a dozen countries. The goal of the partnership is to improve employee health and emotional wellness, while aiming to decrease absenteeism, increase productivity and employee engagement. New York, NY- based PsyInnovations is a digital behavioral health company with the mission of delivering evidence based programs and expert care using technology. Their flagship platform, wayForward ( http://www.wayforward.io ) delivers programs based on Cognitive Behavioral Therapy (CBT), Mindfulness and Positive Psychology, developed by its team of expert researchers and clinicians. Cascade Centers, Inc. is a private firm headquartered in Portland, Oregon. Since 1975, Cascade has set out to decrease employee related expenses and improve quality of life. They provide comprehensive and leading edge services to organizations and individuals nationwide, such as Employee Assistance Programs (EAP), Work/Life Balance Services, Wellness Programs, Onsite Health Screenings, Organizational Development, Student Assistance Programs, Military Helpline, and Executive Coaching. 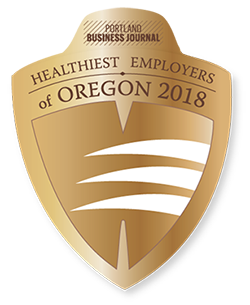 For nearly 40 years, Portland-based Cascade Centers Inc. has built a successful business providing counseling, a crisis line, work-life balance programs and health and wellness coaching for employer groups. Its Employee Assistance Programs that have been shown to improve absenteeism, reduce distraction at work and boost life satisfaction. But these services have always functioned in a reactive mode, especially given the stigma around mental health issues, and Cascade’s leaders realized they needed to get out in front of problems before they start. The result of that thought process rolled out earlier this year. The WholeLife Scale integrates mental health into workplace wellness campaigns and gives employers a snapshot of the state of mental health in their workplace. Cascade partnered with a University of Oregon psychologist to develop the WholeLife Scale questionnaire, which it piloted with state employees. Here’s how it works. Employees answer a series of questions covering nine mental health “domains”: anger, anxiety, depression, post-traumatic stress, relationships, sleep, stress, substance abuse and work engagement. For example, one question asks how often over the past month you’ve thought you should cut down on drinking or drug use. The evaluation takes about 10 minutes. Afterward, you get a report around the scores and recommended next steps, along with encouragement to take advantage of the employer's Employee Assistance Program. Cascade, which is the 25th largest EAP provider in the U.S., recently presented the tool at an international conference. The feedback was positive, Marshall said. Cascade is both marketing the scale on its own and pairing it with its existing EAP programs. The company may also license it to various organizations. The company was founded by Brown’s parents, Gale Castillo and Jerry Brown, in 1975. Cascade’s Employee Assistance Program is now used by 360 organizations nationwide, encompassing 217,000 employees. The State of Oregon, City of Portland, Beaverton School District, New Seasons and McMenamins are among Cascade’s clients. Castillo said Cascade has always tried to anticipate new needs and trends in the industry. “Between all of us, we put our heads together and brainstormed about what the need has been and currently is and built on our past legacy,” Castillo said. The company: Cascade Centers Inc.
What makes it innovative: A longtime provider of Employee Assistance Programs, Cascade this year rolled out a new product called WholeLife Scale to measure and provide immediate feedback about mental health issues. There is a direct link between job performance and employee health. To improve employee health and enhance productivity, many employers have focused on health risk factors such as obesity, physical inactivity, and tobacco use. However, it is becoming increasingly evident that wellness goes beyond physical fitness and good nutrition. The National Institute of Mental Health estimates nearly 1 in 5 adults in the U.S. are coping with mental health issues; this does not include substance abuse. The need to address employee wellness holistically has never been so important. Mental health issues have a long history of being stigmatized and largely ignored within the workplace, yet issues related to poor mental health, such as accidents, health care costs, absenteeism, and lost productivity are well documented. It’s estimated that mental illness and substance abuse cost employers, in indirect costs, $80 to $100 billion each year. Work loss and work impairment is more due to mental illness than chronic conditions such as diabetes, asthma, and arthritis. Work stress alone has been associated with significantly higher health care expenses. To have a truly well workforce, employers need resources and strategies available to help employees who are struggling. This is often the role of an employee assistance program (EAP). An EAP generally offers confidential assessment, short-term counseling, and referrals. EAP consultants also support managers in addressing employee performance issues, concerns about safety, and on-site services following crises. These interventions are important, but typically engage employees after a problem has occurred. Recognizing this need, the International Employee Assistance Professionals Association has put an increased focus on proactive intervention to keep people healthy. This has led EAPs to increase focus on work-life balance, offerings of life coaching, financial wellness programs, training in emotional first aid, health engagement tools and campaigns aimed at reducing the stigma of mental illness. Healthcare providers across professions are now working together to promote the message – mental health is physical health. Employers who incorporate behavioral health into their overall wellness strategy see the value of making assessment and intervention available. One study demonstrated a 7:1 return on investment by conducting a depression screening program. The National Institute for Occupational Safety and Health also identified that the first step in dealing with excessive work stress - one of the leading causes of mental and physical health problems - is problem identification. Traditionally, learning about one’s state of mental health would require taking multiple time consuming assessments. EAP industry experts recognized the need for a more comprehensive and accessible option to circumvent the high cost of mental health concerns in the workplace. In response, a Behavioral Health Risk Assessment (BHRA) has been developed. Implementation of the BHRA is similar to a traditional Health Risk Assessment. Employers provide incentives and have access to aggregate reports from the BHRA, while helping employees increase individual mental health awareness. Increased focus on behavioral health also improves overall wellness. Research shows a high co-occurrence between diabetes, depression, obesity, hypertension, and stress. Medical professionals are finding that this is not a one-way street. For example, it was previously believed that mental health issues led to gastrointestinal distress, but findings now show it may be the other way around. This illustrates that the value of a traditional approach to employee wellness should not be diminished. There is high value in biometric screenings, nutrition services, emphasis on physical fitness, and tobacco cessation. However, it is increasingly clear that employers who take an integrated approach to wellness are likely to maximize improved health outcomes, lower health risks, and decrease health care costs. For additional information about Integrated Wellness and Behavioral Health Services, contact Anthony Brown at Cascade Centers, Inc. 800-433-2320; abrown@cascadecenters.com. Since 1975, Cascade has set out to decrease employee related expenses and improve quality of life. They provide comprehensive and leading edge services to organizations and individuals nationwide, such as Employee Assistance Programs (EAP), Work/Life Balance Services, Wellness Programs, Onsite Health Screenings, Organizational Development, Student Assistance Programs, Military Helpline, and Executive Coaching. An Employer’s Guide to Behavioral Health Services, National Business Group on Health, December 2005. Abbott Targets Depression Among Employees; Reduces Total Medical Costs, Mental HealthWorks; 4th qtr - 2003. Portland, OR - hubbub health, an online and mobile wellness platform, and Cascade Centers, Inc., a company committed to supporting families with drug abuse and other health-related challenges, are working together to use technology and innovation to help thousands of Cascade’s client workforce develop healthy habits in and outside of the workplace, leading to improved productivity. This new collaboration will enable Cascade Centers to leverage hubbub’s expert wellness content and platform to give employees of Cascade’s clients access to challenges and an online social community to embark on the path towards achieving a healthy lifestyle. The hubbub platform uses technology and innovation to change behaviors and workplace environments to promote a healthy lifestyle among employees. Hubbub offers employees a variety of programs and challenges that help them achieve their health goals and develop healthy habits. Thanks to this new endeavor, Cascade Centers will offer their wellness solution to employees in multiple industries, including those working non-sedentary jobs, such as manufacturing or field-based work. Employers working with Cascade Centers also have the option of purchasing more health and wellness features from hubbub to further assist employees in achieving their wellness goals. Hubbub is a corporate wellness technology company that offers an integrated platform of evidenced-based wellbeing solutions that drive meaningful healthy outcomes. Their software delivers engaging content that cultivates healthy habits at work and at home with focus on one’s physical, mental, emotional, and financial wellbeing. Hubbub’s technology, content and programs meet people where they’re at, positively influencing their daily habits and lifestyle. Hubbub believes that improved wellbeing translates to a healthier, happier and more productive workforce. Historically, the Employee Assistance field has measured the effectiveness of services by reporting on basic metrics, such as employee utilization and employee satisfaction. While allowing employers to capitalize on a “feel good” element by providing a benefit employees appreciate, the metrics have not fully illustrated the positive impact of offering an EAP. In 2013, Cascade Centers, Inc. began to implement the Workplace Outcome Suite (WOS) to help their customers better evaluate whether EAP intervention had an impact on workplace performance. The WOS, a validated and scientific measurement tool, is designed to measure change in areas which relate directly to an employee’s work performance. In the 2014 study conducted by Cascade using the WOS, data was collected both Pre and Post EAP intervention (approximately 90 days later) on a random sample of 1302 employees to make up a book of business report. The results demonstrated an average reduction in worker absenteeism of 44% (3.5 hours/ month). There was also statistically significant improvement in the presenteeism (23%) and life satisfaction (17%). Analyses of outcomes performance in the future will allow EAPs to compare their data to other EAPs. This comparative data will be made available to purchasers and organizational stakeholders to use as a factor for making decisions about their EAP partner, and supporting the continued investment in EAPs. Cascade Centers, Inc. was founded in 1975 and is headquartered at 7180 SW Fir Loop, Portland, OR 97223. Cascade Centers, Inc. is a privately held firm that provides a variety of services locally and nationally to public and private organizations including: Employee Assistance Programs (EAP), Work/Life Services, Student Assistance Programs, Wellness Programs, Organizational Development, Military Helpline, and Executive Coaching. PORTLAND, OR. – Cascade Centers, Inc. (Cascade) was recently accredited by the American Association of Suicidology (AAS). The AAS is a national leader in the advancement of scientific and programmatic efforts in suicide prevention through research, education, training, development of standards and resources, and through survivor support services. Cascade Centers, Inc. is one of three organizations in Oregon that has been accredited by AAS. Cascade is the only Employee Assistance Program (EAP) in the nation to be accredited by the AAS. The accreditation is the result of a rigorous review of Cascade's crisis services and procedures and certifies that Cascade's service delivery methods meet nationally recognized standards. Joan Wright, Director of Crisis Services Accreditation & Certification Programs with the AAS said “Cascade has done an excellent job of assuring that their crisis service does not take a back seat to their other services. They have an excellent service as a result of a well–organized training program for their new employees”. The accreditation process included a review of Cascade's written documents and an onsite review to evaluate Cascade's organizational structure, screening and training of crisis workers, service delivery system, ethical standards and practice, community integration, and program evaluation. Customers and clients served by Cascade can be assured that Cascade delivers crisis services at the highest standards utilizing best practices. Founded in 1975, Cascade Centers, Inc. is a privately held firm that provides a variety of services locally and nationally to public and private organizations including: Employee Assistance Programs (EAP), Work/Life Services, Wellness Programs, Organizational Development, a Military Helpline, and Executive Coaching. PORTLAND, OR. – Cascade Centers, Inc. (Cascade) recently announced Julie Marshall, Ph.D., as a new stockholder of the firm. Dr. Marshall is the current Vice President of Clinical Operations. Dr. Marshall has been with Cascade for over 14 years. Dr. Marshall received a Master of Arts at Ball State University in Indiana and received her doctorate in clinical psychology at the University of Oklahoma. She is currently a Licensed Psychologist in the State of Oregon. Her 14 years in the mental health field includes consultation and program development, clinical supervision and direct clinical services to adults, children and families. She practiced in community and state agencies prior to joining Cascade Centers, Employee Assistance Program in 1998. Current owners include Gale Castillo, M.A., President; Gerald F. (Jerry) Brown, M.A., CEO; and Anthony Brown, Vice President, Marketing & Sales. Founded in 1975, Cascade Centers, Inc. is a privately held firm that provides a variety of services locally and nationally to public and private organizations including: Employee Assistance Programs (EAP), Work/Life Services, Wellness Programs, Organizational Development, Military Helpline, and Executive Coaching. For additional information about Cascade or their services contact Anthony Brown. When help is needed, service members can call 1–800–511–6944 and get a live voice at any time. The Helpline is staffed by Veterans and Masters level counselors ready to provide crisis / suicide intervention and comprehensive services that assess, identify, and link the service member or family member with the most appropriate resource. While there are many excellent resources available to service members, understanding which are applicable and how to access services can be confusing and daunting, particularly as a service member is reintegrating and potentially facing unprecedented stressors. Members need a “resource expert” to help them navigate the myriad of services available to them, both military and civilian. That is what Oregon Military Assistance Helpline provides. The Oregon Military Assistance Helpline is a service provided by Cascade Centers Inc. (Cascade). Cascade is a private firm, founded in 1975 and is headquartered in Portland, Oregon. Cascade's mission is to provide comprehensive and leading edge services to organizations and individuals through Employee Assistance Programs (EAP), 24 hour crisis intervention, face–to–face counseling, work / life balance services, wellness programs, education, training, and resource referrals. Cascade provides full service programs with a focus on customer service and building partnerships. For additional information about the Oregon Military Assistance program or Cascade Centers, Inc. contact Anthony Brown. PORTLAND, OR. – Cascade Centers, Inc., Employee Assistance Program, (Cascade EAP) announced today that, in 2008, employers under contract with Cascade EAP realized a 4:1 Return on Investment (ROI). Cascade EAP provides a variety of counseling, assessment, and work/family/life services in response to employee concerns that may impact productivity on the job such as life stress, family problems, relationship difficulties, financial challenges, parenting, work conflict, and other issues. Cascade EAP extracts data from evidence–based studies on lost productivity due to personal issues to calculate each group's Return on Investment (ROI). Sources include the US Department of Labor, Journal of the American Medical Association, and the Disease Control Priorities Project. These statistics are applied to each employer groups' presenting problems and the savings data is available to the employer each month in a detailed utilization report. David Burn, a licensed mental health counselor and Cascade's Senior EAP Consultant, notes that “sixty–eight percent (68%) of all clients resolve their presenting concerns using Cascade's EAP services, with no need to access ongoing medical or mental health services.” As healthcare costs escalate, EAP plays a key role in increasing employee productivity, reducing absenteeism, managing the costs associated with health care coverage, and reducing out–of–pocket expenses for medical and mental health services. Cascade Centers, Inc. is a privately held national firm headquartered in Portland, Oregon. Founded in 1975, Cascade Centers provides a variety of services to public and private organizations including: Employee Assistance Programs (EAP), Work/Life Services, Wellness Programs, Organizational Development, and Executive Coaching. PORTLAND, OR – Cascade Centers, Inc. Employee Assistance Program (EAP) Cascade Centers, Inc. now offers its members live online virtual sessions with an EAP Consultant to provide assistance with problem resolution and answer questions. Cascade's newest service, called E–Support, allows users to correspond with their online EAP Consultant through a secure website in a Private Conference Area. All chat accounts are protected by usernames and passwords. Flexible scheduling, anonymity, easier communication, confidentiality, resolution to problems, and review of progress are key advantages of E–Support. Members receive these benefits without having to leave their home or office for an appointment. It is completely professional and confidential. Consultants are trained to conduct sessions in a solution focused format. Each member is able to review progress through a transcript of each session and members have indicated they appreciate having the suggestions available to print for use months later. Cascade uses the latest tools of technology to establish and maintain the confidentiality of information exchanged through online conference services. Data is protected at the highest allowable level using secure 128 bit socket lay (SSL) encryption software to keep communication completely secure. Cascade Centers, Inc. is a family owned, Oregon business, co–owned by Gale Castillo, M.A., and Gerald F. (Jerry) Brown, M.A. Founded in 1975, Cascade Centers provides a variety of services locally and nationally to public and private organizations including: Employee Assistance Programs (EAP), Work/Life Services, Wellness Programs, Organizational Development, Workshops, Seminars, and Group and Individual Counseling. Since they were introduced in the 1970s as a way to aid employees dealing with alcoholism and substance abuse, employee assistance programs have traversed a speedy evolutionary path. Now well known for offering the entire gamut of services – including resources for stress management, depression, family and marital issues, legal problems, financial planning, child and elder care and even religious issues – EAPs still have primarily dealt with tending to mind and spirit. The programs are changing yet again, however, and now encompass services to help employees care for their physical health and wellness. For his part, Richard Chaifetz, CEO of Chicago–based EAP provider ComPsych, considers the shift a natural one. Research has long shown that people with chronic health problems are more likely to suffer from depression, and vice versa. To Anthony Brown, vice president of sales and marketing for Portland, Ore.–based Cascade Centers Inc., it stands to reason a comprehensive EAP should be able to help employees deal with both the physical and the emotional. Cascade recently began providing a health and wellness program as part of its EAP services. The new program, Cascade Personal Wellness, includes unlimited access to health coaches, an online members–only Web site, health risk assessments, discounts for gym memberships, tip sheets, books and monthly wellness newsletters. Members can access the program for help with weight management, smoking cessation, fitness and exercise, and prenatal and postnatal care. EAP Consultants also is getting a positive reaction to its health care coaching service, which has been available for the last year. ComPsych offers similar services through its Healthy Guidance initiative, providing guidance, encouragement and information to employees through health tests, literature, online information and health coaching. The program includes health risk assessments, wellness seminars and also added employer support through supervisor training. A CDH Breakthrough ComPsych also is breaking new ground in the EAP–health care space this year with its HealthChampion program, an employee health advocacy program designed to help individuals navigate the health care system. Indeed, in a nationwide survey of 434 employers, Aon Consulting and the International Society of Certified Employee Benefit Specialists found that 28% currently offer a CDHP to their employees, up from 22% in 2005. Additionally, the use of health reimbursement arrangements and health savings accounts have evolved. Today, 43% of organizations with CDHPs offer an HRA, 48% offer an HSA and 10% offer both. Educating employees on successfully using such plans still is a sticking point, which is where Chaifetz believes ComPsych can lend a hand. Ironically, though, according to Chaifetz, ”most employers [using HealthChampion] don't have a CDHP. They're either thinking about it, or they just think the program is a valuable resource” to aid consumers. Either way, it's all part of the job for an EAP, says Chaifetz. ”We want to help people address the full array of issues that confront them so they can lead healthy and balanced lives. Wellness is another area that we know employees struggle with, and so we want to help.” – K.M.B. Cascade Centers, Inc offers a preventative health and wellness program as part of their core Employee Assistance Program. Portland, OR – Starting July 1, 2006, Cascade Centers, Inc. will be the only Employee Assistance Program (EAP) in the nation offering its members unlimited phone and e–mail access to personal health coaches as a core component of the EAP. Currently, EAPs are best known for contributing to cost savings associated with lost productivity and absences by addressing issues such as depression, substance abuse, and mental/emotional problems. Research shows that mental health and physical health are often interrelated. By including this service, Cascade has created a holistic EAP. According to the US Department of Health and Human Services, it is estimated that up to 75% of all health care dollars are spent on chronic conditions such as diabetes, obesity, and cardiovascular disease – most of which can be prevented or at least managed. Studies conducted by “Wellness Program Advisor” suggest that Wellness Programs in the work place have been found to reduce company health care costs, improve employee morale, and increase productivity on many levels. The new program, entitled Cascade Personal Wellness, includes unlimited access to a health coach, online members only website, Health Risk Assessments, discounts to gym memberships, tip sheets, books, monthly wellness related newsletters, and more. Members can access Cascade Personal Wellness for Weight Management, Smoking Cessation, Fitness and Exercise, Prenatal and Postnatal care, Complementary Care, and Health Self Management. Cascade has been providing EAPs since 1979 and is one of the nations largest privately held EAPs. Cascade's addition of a Wellness Program to their core EAP suggests that EAPs are continuing to evolve as an all encompassing life assistance benefit. The Wellness Program will be another resource to impact modifiable health claims through lifestyle change. For additional information about Cascade's wellness program as part of their EAP services, or as a stand alone, contact Anthony Brown.